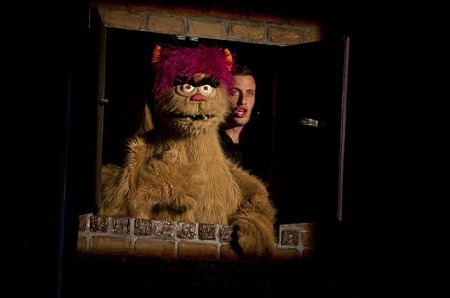 Watching Avenue Q at the Lower Ossington Theatre was like eating a large bowl of your favourite comfort food. In my case, it was like eating my childhood favourite, spaghetti and meatballs! It hits you in all the right places and makes you yearn for more. If there was ever a show that could physically touch you and tickle you until you couldn’t stop smiling, than Avenue Q would be that show. I generally love musicals but I was a bit wary about watching puppets and puppeteers sing and dance for a whole evening. Having not heard the music before, I admittedly was a little curious to see what all the hype was about. Why were people raving about seeing puppets? From a push up challenge between a self-absorbed executive and her devoted secretary to an aging store clerk playing footie with a doctor, the double bill featuring The Way of All Fish and Miss Fozzard Finds Her Feet, did not disappoint. 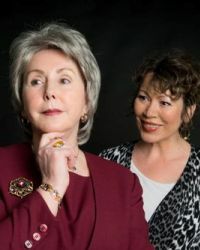 Watching the comedic intriguing actors embody their respective characters was truly a wonderful way to spend a summer evening at the intimate Tarragon Theatre Extra Space. I’ll be honest. Having read only a short synopsis on the double bill production, I went in with minimal expectation. I let my imagination go wild while I guessed what the intent was behind each play based on their chosen titles. Does the way of the fish have something to do with the analogy ‘there is plenty of fish in the sea?’ Or how exactly is Miss Fozzard going to find her feet? With that being said, going in to the theater with minimal expectation made the experience of watching the plays all the more enjoyable and intriguing.